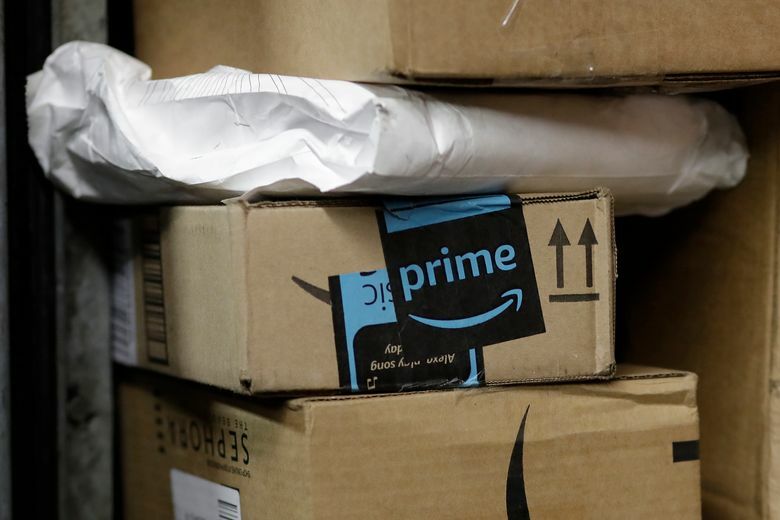 The e-commerce giant didn’t disclose a figure, but it said purchases made by members of its Prime loyalty program, to whom the discount extravaganza is geared, were 60 percent higher than last year. Amazon.com said its third Prime Day, held Tuesday, broke records, becoming the biggest day of sales in the company’s history. The e-commerce giant didn’t disclose a figure, but it said that purchases made by members of its Prime loyalty program, to whom the discount extravaganza is geared, were 60 percent higher than last year. Amazon also said more people joined the $99-a-year loyalty program on Tuesday than on any other single day in the company’s past. Amazon shares rose $12.38, or 1.25 percent, to close at $1,006.51 Wednesday. The success of the self-proclaimed retail holiday — designed to lure new members into the Prime ecosystem and to stress-test Amazon’s logistics capabilities before the key holiday shopping season — was boosted by the popularity of the company’s gadgets. The item that sold the most: the Echo Dot, a device that connects to speakers and that harbors Alexa, Amazon’s voice-activated digital assistant. The Dot’s bigger cousin, a speaker called the Echo, was also a hot-selling item, and so were Fire tablets and Kindle e-book readers, the company said. Amazon’s blockbuster sale breaks a record set on last year’s Prime Day. Analysts with Cowen estimated on Wednesday that the latest Prime Day brought in about $1 billion in revenue for the company. But “just as important” was that it seemed to attract more new members, said the analysts, who estimate that more than half of U.S. households will have enrolled in Prime by the end of the year. Prime Day also bodes well for another part of Amazon’s business: Alexa. Tech giants from Amazon to Apple are betting big on voice computing, which experts say is the future of the field. Amazon says members of its Prime program bought seven times more Echo devices on Prime Day 2017 than on the same day in 2016. More Echos in customers’ hands mean an edge for Amazon’s emerging platform. Other than Amazon’s own devices, top-selling items in the U.S. included a programmable pressure cooker and a DNA test kit.